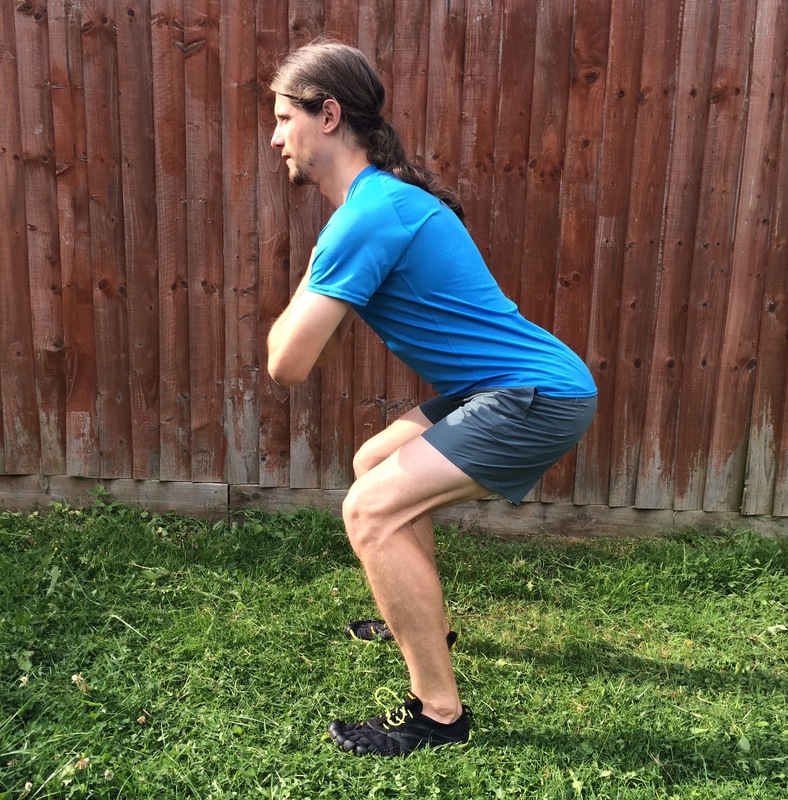 Squats build the leg and buttock muscles that supports your running form. I enjoy this core exercise the most because I can do them fast while maintaining good form. However, due to my strong quadriceps I must complete many reps to feel the burn. I complete two variations of the exercise: the standard and the jumping. Both require a straight back, bent slightly forward with knees not bowing outwards. Jumping squats need a good stable landing, ideally on the midfoot, with arms swinging high as you lift up from the ground. This more challenging exercise is also ideal to work your cardiovascular system.